1000 stickers plus cool ideas to make crowd scenes, stories and board games. The best fun ever. Except: you’ll never find Wally now! Big news: your hideaway hero has gone beyond spotting books. 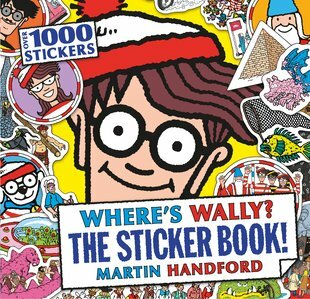 Yep: he’s escaped into this whopping sticker bonanza! Don’t just look for Wally. Play cool games with him too. Design your own Where’s Wally? hunt with stickers of your favourite characters. Make mini crowd scenes, write brand new stories and even build a fabulous board game.